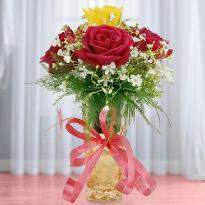 Flowers are the perfect gift that you can send to your near and dear ones on every occasion. The essence and elegance of flowers can eloquently convey the feelings of your heart without fail. It's ultimate beauty and fragrance can uplift anyone's mood and offers happiness and optimism at the same time. Shop from our wide collection of flowers and select the one which suits your loved ones. 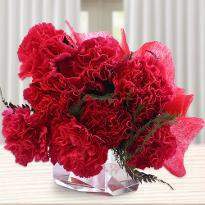 Not only bouquet or basket, you can also shop for special flower arrangements too. 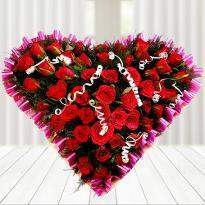 Order and send flowers online in Chennai to win the heart of your loved ones. You can also place your order for same day delivery, fixed time delivery, early morning delivery or midnight delivery. Winni promise to deliver a fresh range of flowers. Flower is the best and outstanding formation of god. Flower brings color in our life. Flower is a soul blossoming in the world. Flowers may be of different sizes, color and shapes and fragrance. The sweet fragrance of flowers makes the air pleasant. So everyone loves and adore flower. We use flower just because of its beauty and purity. 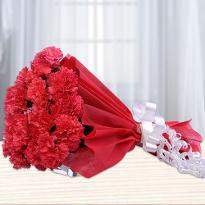 Flowers used for decorating houses in any special occasion like marriage, anniversary and party. We can give flowers to our special and near ones. There are different flowers which symbolize different relationships. Like red roses for our love. 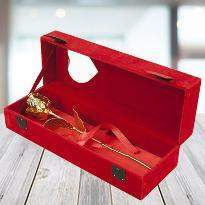 The red rose speaks of love silently and Yellow roses are the sign of friendship. 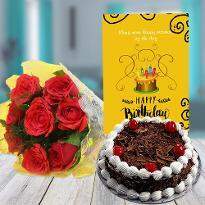 So try to express your love by send flowers to Chennai to your best buddies with the facility of birthday cake and flowers delivery in Chennai through Winni. In our life love is like a beautiful flower which may not touch but its fragrance makes the garden a place of delight just the same. 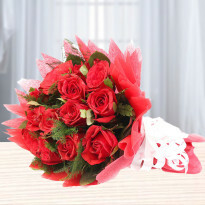 Now you can Order flowers online in Chennai with an option of Midnight flowers delivery & Same day flowers delivery. Flowers always play a vital role in every human's life. When we get up in the morning and see beautiful flowers in garden then a smile comes on our face. That is the great beginning of our day. we feel peaceful and forget all our worries. Flowers teach us many great lessons to our human being. They teach us to spread happiness to others and to live for the pleasure of others. 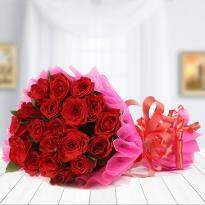 So buy flower online in Chennai and spread happiness in life of your close ones. The most influential or necessary things that flower teach us is in short life span we have to do a lot of things. Flowers remove all our sadness and sorrows with its beauty and attractiveness. 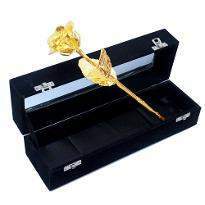 When you cannot express your feelings to someone special through word at that time if you send flower online to your love and share a message in it will or say everything. Flowers always spread its happiness among the people and give them pleasure. 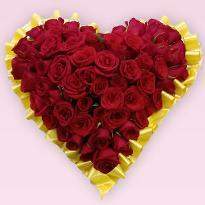 It also makes home delivery of Valentine flower in Chennai by just follow few steps and spread happiness on our surroundings beautiful and peaceful world and relation. 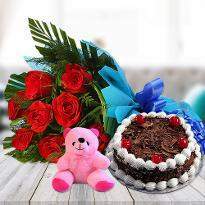 Winni also let you add sweetener to your flowers by the option of order cake online in Chennai. Winni provides eggless cake delivery in Chennai as well. Flowers are the symbol of beauty and peace. Flowers are very most beautiful things in the world which create the atmosphere of relaxation and gives a calm feeling all around. 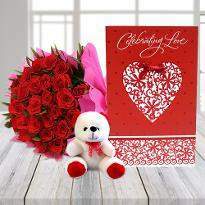 The most important role of Valentine flower delivery online in our life is that it is used to transmit emotions and thoughts towards someone. Then we will feel much pleasure and can give relaxation by send flowers to your love to our mind and fill our life with joy and happiness. There are many Poets which also tell about the flowers and enrich our literature. When we see many flowers in a small garden then we become speechless. Flowers in our life are like a lamp in the darkness. Just think that your today your life is like a seed. One day you can grow like flower. That means our life is very short like flower it will die at any time but with a little tender of love and care we will bloom like flower. 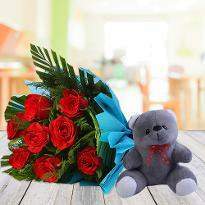 So order flower online in Chennai to express your love for someone whom may be your crush. 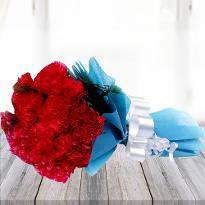 As flower is such precious to us so we can give someone flower in their special day. But Now a day's everyone is busy in their work. We have no time to go to the shop and purchase gift. So now online shopping becomes a fashion and trend also. Everything we can buy online and can send it to our special buddies who is too far from us and make them realize how much they matter in our life and how much they are precious to us. 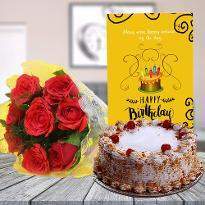 We can give flower as a gift to our favorite person with this online shopping market by follow few steps on our website for order online flower in Chennai. This is possible through Winni. 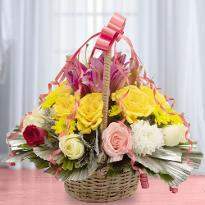 We provide flowers, bouquets, basket filled with your chosen flower and in your chosen color. We are delivering in a 24*7 basis. Just you placed the order and location of delivery and timing then we will assure you that we will deliver it in the right time. 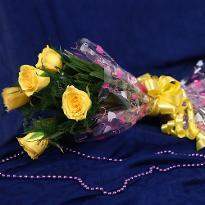 We provides midnight delivery of flower in Chennai for making your celebration surprising at a cheapest rate. 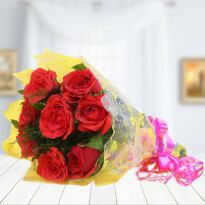 Why Choose Winni for flowers delivery in chennai? Winni started in 2013. After a graceful success in Bangalore and Hyderabad Winni decided to open its branch in Chennai and to provide good services to Chennai people. You must think why Winni? Why not any other online portal. The reason is that Winni provides you the best service in comparison with others. We have only that pictures in our portal which we deliver it to you, where as any other portal gives a picture in their website and deliver you another. 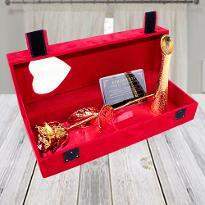 Winni is the best because it always adds refreshment in their products and provides you the fresh flower and we also provide you the same day delivery of flower in Chennai. 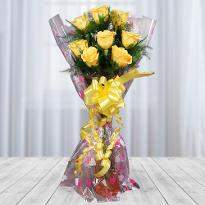 You can deliver fresh and decent bouquet from miles far to your dear one and this makes possible through Winni. After delivering your product we will acknowledge you by message. 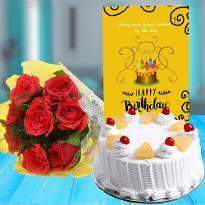 With Winni along with flowers you can also have midnight cake delivery in Chennai as well. Beautiful bunch of flowers, easy to order and at a very fair price! Very impressive presentation, and I will definitely be using these services in the future :). Absolutely would recommend! Similar opinion? Write a review! â? ?Would just like to say a thank you for the lovely flowers delivered to my family in chennai today. She sent me pictures and they look beautiful. Me and my family will be putting future orders to yourself.â?? 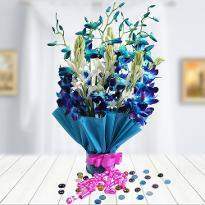 I have used winni.in flowers twice now and both family members have been very happy with the flowers they received. And I am very happy with the service. Thank you winni.in. Similar opinion? Write a review! The prices are pretty decent as compared to other website available. I used it for the first time and quite happy with stuff along with delivery made on time for bangalore . The service is surely recommendable .